Head to the game ready to roar! Go Tigers! 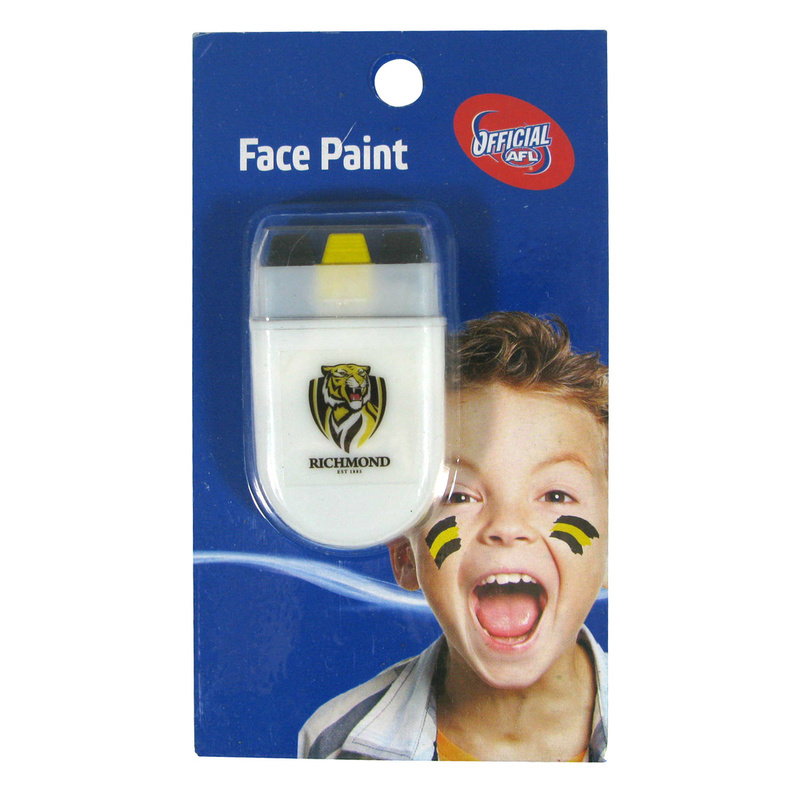 Get your war paint applied easily with the Richmond Tigers Face Paint Stick, and head to the game ready to roar. The paint stick will apply lines of three alternating team colours - all without getting your hands messy! To use simply remove the lid and gently apply to clean dry skin. Comes off easily after the match with soap and water. Not recommended for people with skin allergies.